Today the Federal Reserve released transcripts of its 2007 FOMC meetings. The Fed has a policy of releasing these transcripts with a five-year lag. This has various advantages in terms of encouraging candor and allowing the FOMC members to discuss material nonpublic information, etc., but it has the singular disadvantage of making them look like idiots, because everyone else is five years smarter than they are. "Hahaha William Dudley thinks that Bear Stearns is fine! Bear disappeared like four years ago! Has he been living under a rock? What a moron!" As far as the issue of material nonpublic information that shows worse problems than are in the newspapers, I’m not sure exactly how to characterize that because I guess I wouldn’t know how to characterize how bad the newspapers think these problems are. [Laughter] We’ve done quite a bit of work trying to identify some of the funding questions surrounding Bear Stearns, Countrywide, and some of the commercial paper programs. There is some strain, but so far it looks as though nothing is really imminent in those areas. Now, could that change quickly? Absolutely. For example, one question that we’re following with Bear Stearns is what their clients do in terms of continuing to want to do business with them. Obviously, if people start to pull back in their willingness to do business with Bear Stearns, the franchise value of the company goes down, and that exacerbates the problem. One thing that we have heard about Bear Stearns is that they have approached a number of major commercial banks about a secured line of credit. We don’t know what the outcome will be, but they are clearly trying to get even better liquidity backstops than those they have in place today. But as far as we know, they have enough liquidity—and Countrywide as well at this moment. Laugh if you want, but that&apos;s sort of the thing about banks and liquidity: it&apos;s there one day, and gone the next, and its disappearance is never predictable because as soon as it becomes predictable that your liquidity will disappear, it has already disappeared. However good may be your arguments. Bear, at the time, really was drowning in liquidity.1 Dudley just looks a little wrong in hindsight; the guys at Bear who were working to bail their sinking ship had no choice but to make contemporaneous public statements about their liquidity that were true until they weren&apos;t. And that looked, by virtue of the quick flip between "drowning in liquidity" and just "drowning," like they weren&apos;t true - in a liability-incurring way - even when they were. 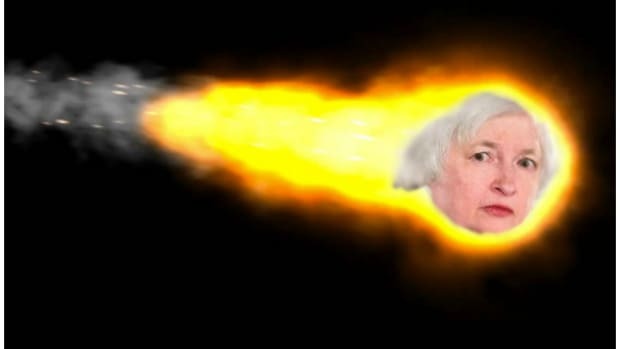 With the release of the transcripts, most of the world of economics journalism has begun hunting for evidence the Fed was underestimating the lurking danger. Such passages make for gripping reading, but it&apos;s worth remembering that the best indicator that the Fed underestimated matters was occurence of a massive crisis and recession. [T]his is not primarily a liquidity issue we have; it is a credit and valuation issue. But we have all been following the markets, of course, and I do believe that liquidity is playing a role in the pressures that we are currently seeing. Let me turn to the issue of the financial markets because, obviously, that is the big gorilla sitting at the table. I don’t see what is happening now as a direct spillover from the subprime market. ... Of course, the media are making the subprime market into the whole story, but I think it is just not the right story. The subprime market is really a very small percentage of the total credit markets. What I think is much more important is that people are questioning and reassessing the quality of the information that exists in financial markets. The point of the subprime market is just that we now trust the credit-rating agencies less. Basically what I think is happening in a way is quite a good thing: We were concerned that the markets were a little too optimistic, that there was too much opacity, and that people weren’t worried about it. Now, in fact, they are worried about it, and I think that is fundamentally a healthy situation. Also, the parts of the market that are having the problem are the most opaque parts, it is not clear that they are particularly important to the things we really care about in terms of our policies, which is what will happen to aggregate demand and, therefore, to both inflation and output. So at this point, I take the view that this could all end very well and could in the long run make the situation healthier, and this view is consistent with what Governor Kohn was pointing out. But I do worry that this reassessment could actually find more — what’s the right word? — skeletons in the closet or bad things happening than were expected. That pretty closely tracks the narrative of the crisis - collapse of trust in opaque structured credit assets, entailing collapse of trust in opaque banks that held opaque amounts of those opaque products - that I and a lot of others believe. Mishkin is tantalizingly close here.4 Maybe he&apos;s entirely right: "in the long run" financial markets may well be healthier for more giving structured-credit alchemy and bank balance sheets a thorough examination; one would hope that that&apos;s the theory of the Basel Committees, Paul Volcker, et al. I suppose that, as a central banker, Mishkin knows what they say about the long run. I am surprised at how long it takes the Fed to grow really concerned that financial troubles might bleed into the broader economy. In August, when mortgage markets begin to freeze up, you do hear worries that this will affect mortgage credit and, via that route, the macroeconomy. I think Mishkin&apos;s little speech helps you understand why it would take so long. If the problem is opacity, diagnosing it isn&apos;t enough to cure it - or even to know how to set about curing it. If you know that financial market opacity is bad and makes people trust banks less, and if you also know that there&apos;s a lot of it, that might suggest to you that banks might be in trouble - and that other, more opaque non-bank mechanisms of providing credit to the macroeconomy might be in trouble too. How much trouble, though, and what kind, is much harder. The problem with opacity is that it hides where the problems are. Which makes them harder to fix. 1. "A week before MF Global Holdings Ltd. collapsed, its chief financial officer told Standard & Poor’s in an e-mail that the futures broker had &apos;never been stronger.&apos;" Same as it ever was. 2.So this exaggerates a little: Ever a believer in the power of derivatives to improve outcomes, I&apos;ve mostly read not the transcripts but rather the senior tranche of the transcripts-squared, following along as better economics geeks than I live-blog their reading of the transcripts. I suggest you do the same. Stringcite! FT Alphaville here and here. Wonkblog. WSJ and Real Time Economics, substantive and comical. New York Times. Some have wondered whether one-month and three-month LIBOR rates exaggerate the degree of funding pressures. After all, LIBOR rates are “offered” rates, and they represent the cost of funds at 11:00 a.m. in London. Perhaps they do not reflect the true marginal costs of funding for banks that are perceived to be healthy. There is something to this argument. The spread between one-month LIBOR relative to one-month OIS rates is high relative to the spreads on other sources of bank funding, such as certificate of deposits, term federal funds, and AA-rated commercial paper. So (early) in the crisis the Fed thought that banks were manipulating Libor down? Doesn&apos;t he know that in 2013 that is no longer the preferred story? 4.Janet Yellen, a pessimist about shadow banking, also comes out well in the transcripts.